Some guys just have it. 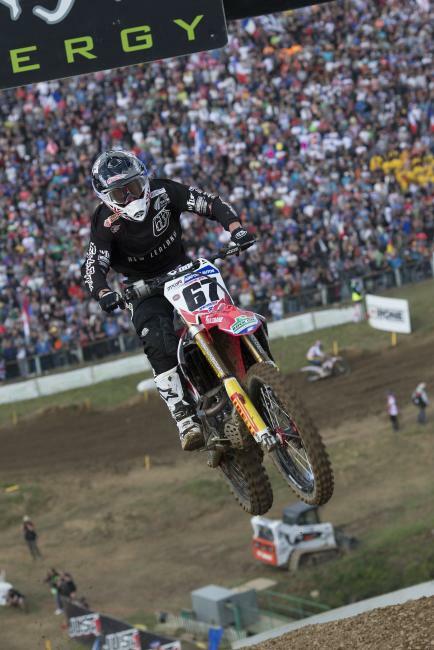 Ben Townley’s speed and ability have never been in question, but the New Zealander also has an injury list that rivals most anyone's, and ultimately that's prevented him from finding all the success he seemed destined to have. Still, the 2007 Supercross Lites East Champion was fast any time he was able to swing a leg over. And, apparently, he's still fast; two years after announcing his retirement, Ben has been showing up for some races as a part-timer and absolutely killing it. "This decision hasn't come easy," Townley said in his April 2013 retirement announcement. "I am yet to finish a full season in five years due to injuries, and unfortunately they have taken their toll. I love racing—it has been my life for twenty-two years. However, I have a wife and two beautiful young sons to consider. "While I am retiring from full-time competition, I will still ride and race at selected events. My reputation and integrity are of the utmost importance to my family and I." He's done well when he has raced, but his performance at the 2015 Monster Energy FIM Motocross of Nations was over the top. He holeshot his MXGP qualifier and led for a bit on Saturday. He finished second. On Sunday, he took sixth in his first moto, but then blew minds in the third and final moto, when he holeshot again and shadowed FIM MXGP World Motocross Champion Romain Febvre for most of the race. Then it started getting crazier—Townley nearly closed to Febvre's rear fender! Ben. Freaking. Townley. Dudes like him don’t forget how to ride. "It was a good day. I was really happy," Townley told our Steve Matthes. "I went to Glen Helen last weekend just to get my feet wet again and just sort of get in the groove. It worked out really well, although it was so hot there and I came from winter. [Temperature change was] Massive. At home, at the moment, it's only just in the past week we have stopped having frost in the morning, so that was a huge temperature adjustment and it really hit me. It whacked me hard [at Glen Helen]. So I think that's what I'm most proud of, is that I prepared completely in New Zealand for this and I did two races in Australia. Those two races, that's national championship racing, but this is a whole other step up. I think my preparation this year, I'm really proud of it." 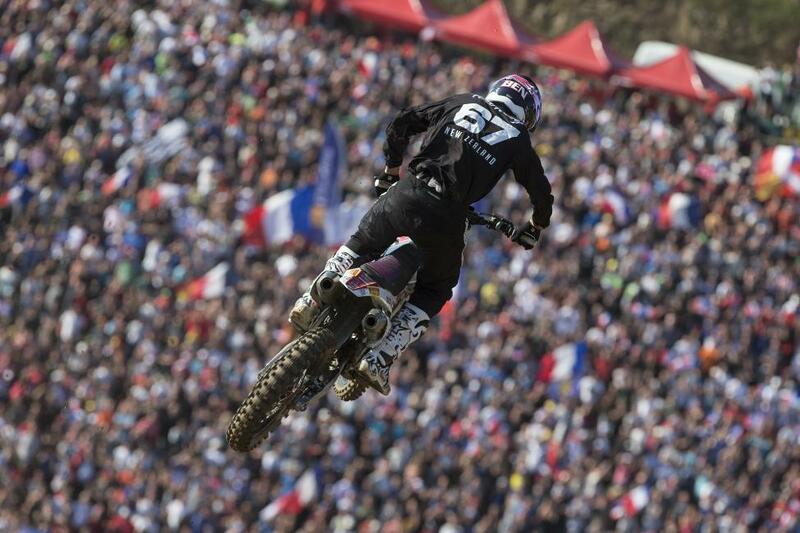 When Townley went fast at Ernée, it ignited memories of his last ride at the track, at the 2005 Motocross des Nations. In the third moto back then, he finished a very similar close second behind a similar unstoppable force—Ricky Carmichael. But some of that history is sort of clouded now. That 2005 des Nations ride didn’t exactly put Townley on the map like some said it did, as he was already the 2004 FIM MX2 World Motocross Champion, and took a solid third as an MX1 rookie in 2005. By the time des Nations came around in 2005, Townley had already signed a deal with Mitch Payton to move to the U.S. for 2006 and ride for Monster Energy/Pro Circuit Kawasaki. Ernée was just a part of his story, and in fact he says he doesn’t have any special feelings for the track. "Nothing at all," he said. "It's just that this event was here. It's this event more than…it's got nothing to do with this track. It's just this event I've always done fairly well when I've been healthy. And Matterley Basin in England, here, Lierop I was doing well until I blew my bike up. So I just really enjoy this event." Still, enjoying an event and rising to the occasion is one thing, but sticking with the new champion is next level. Somehow, Townley didn’t seem amazed by it all. "I settled in, and I felt like I wasn't riding over my head to do what I was doing," he said. "When I realized that [Febvre was still close], I thought to myself, Just stick to him as much as you can, focus on him. And that took my focus off who was third, really. So that was the biggest thing I did was really focus on my distance behind him, really. So that I didn't really focus on who was behind me." Today Townley works as a rider coach and advisor for HRC Honda. Of course, with rides like this the inevitable question about a racing comeback will pop up. Would he be interested? "Right here in this moment, yes, but tomorrow morning I'm going to be sore, probably be hung-over," he said. "But more than anything I've got a family back home now and a business back home. I've got different priorities. Racing's not my number-one thing anymore, so I just go enjoy it for what it is now and that's what I did today." As perhaps is fitting for a rider who is semi-retired, Townley's bike was a big mix of components, and he was happy it worked as well as it did. "I bought this bike as a mix-up of New Zealand with foot pegs and bars and levers, and then Mitch's triple clamps and suspension from Bones [from Pro Circuit in the U.S.], and then a Honda UK chassis and engine and a bit of mix of all," Townley explained. "So I finally got comfortable after three weeks of being on different bikes. So that's one thing that for me I'm so proud of. In three weeks I've ridden on three different bikes. I look back now and think how easy it was when you're a professional. I've got five bags that I'm carting around, and they lost my bags. On Wednesday when we practiced, I didn't have my suspension, triple clamps, bars. I'm really proud of what I achieved on the budget we're on." Although the success here won't tempt Townley into a full-time comeback, he enjoyed it enough to want to come back and race this event. "I probably would suit up for my country [again]," he said. "I'm very proud to represent my country. I think it's a real honor to represent your country. I certainly would think about it. I think for me it's really validated that, for me, personally, I don’t have to be racing full-time, 100 percent to line up and race. That for me was the biggest thing. I had to be selected for my country. You don't just get selected; you have to apply. And they selected me, and they even questioned why I would even do this, and I think I proved that I can do what I do in New Zealand and come here and, with experience, achieve what I did."